Over the Christmas holidays the Sous Chef and I traveled to Belize and Guatemala. During our layover, on our way out of the country, we needed a place for lunch at the Houston airport. One thing is known about airport food: It’s EXPENSIVE. It’s ridiculous how expensive crappy airport food is. Here is the thing though, I was on a mission. If I am forced to pay for expensive food, at least let it be appetizing. So we walked all around the terminal and finally came across a restaurant, named Cat Cora’s Kitchen, that had an appetizing menu. I had not idea who this Cat Cora person was. One of the first items that caught my eye on the menu had two of my favorite things: Feta cheese and Jalapeño poppers. You know this Persian girl had to order the item with Feta cheese, right?! I am so glad I did, because it made me rethink my love affair with Jalapeño poppers because these were not like the standard fried ones or the popular baked ones with bacon wrapped around them. Oh no! These were deliciously different! In light of the Persian Food Bloggers’ collaborative Superbowl themed post, today I present to you my version of these Jalapeño poppers! Frankly speaking I could careless about American football. The truth is I have never really gotten into it because of the aggressiveness of the game. But what I have always enjoyed about the Superbowl parties that I have attended are the following: 1) the food and 2) the half time show. I have enjoyed many of these delicious peppers during my recipe development. I was able to reproduce what I really liked about the original recipe. 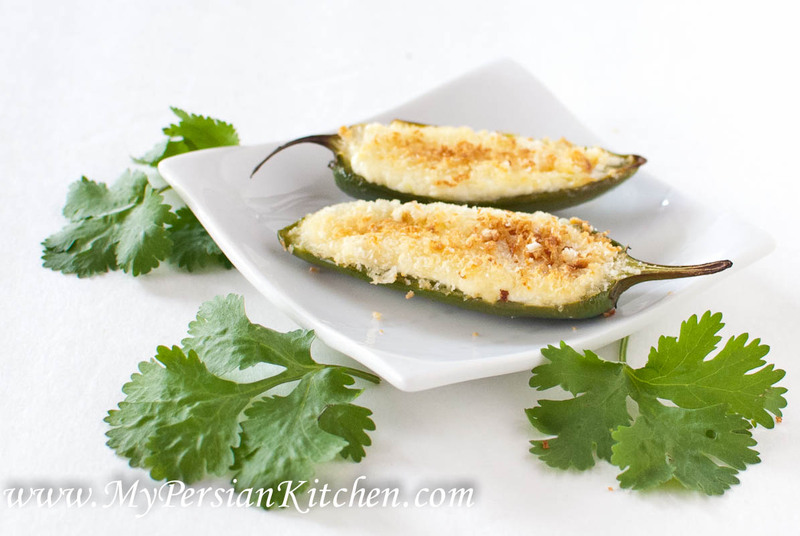 The Jalapeños are not completely cooked through and have a touch of crunch, the flavor of the feta cheese shines through and the crunchiness of the Panko is just perfect on top of the melted cheese. Best of all these peppers are not drenched in breadcrumbs and/or deep fried! Allow cream cheese to sit out for about 1 hour until it becomes soft. Wash and dry Jalapeños. Cut peppers in half then remove seeds and membranes. If you prefer a bit of heat, leave a few seeds in each pepper. Mix cream cheese with feta cheese until well blended and smooth. Stuff each pepper with the cheese mixture. 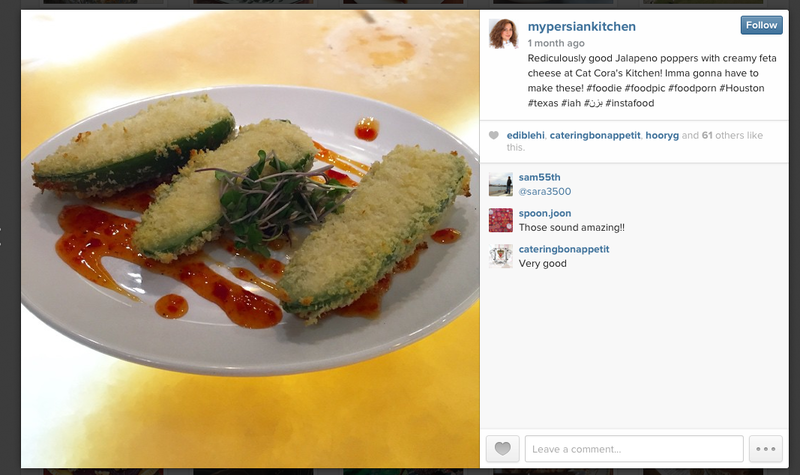 Add about one teaspoon of panko on top of each pepper. Place the peppers in the fridge, in an air tight container, for at least 2 hours. When ready to serve, heat oven at 475 degrees. Line a baking sheet with parchment paper. 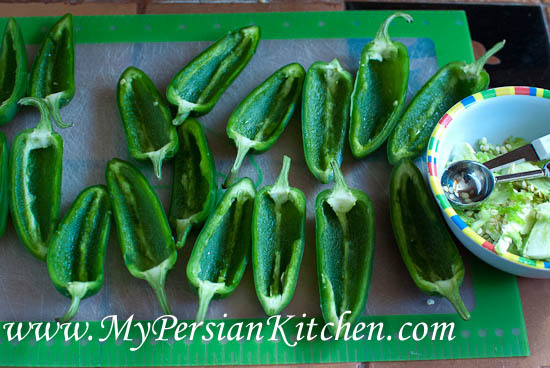 When the oven has reached the desired temperature, remove the jalapeños from the fridge and place on the cookie sheet. Spray with olive oil. Bake peppers for 6 minutes. 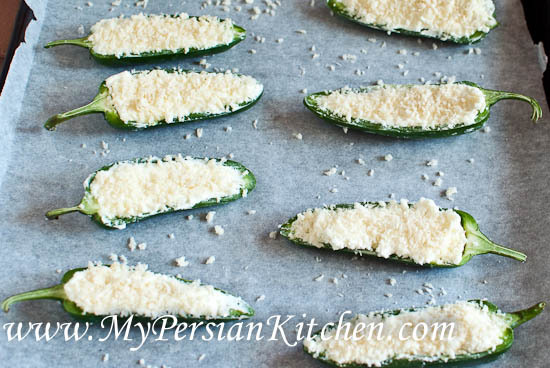 Finish the peppers under the broiler on high for 2 minutes to allow the Panko to turn golden. I looked up who Cat Cora was once I came back from my trip. As it turns out she is a celebrity chef. Who knew! Love the new mobile redesign. Love this recipe . Did you find the jalapenos way too spicy or just enough? When I did stuffed poppers I could eat one or two and my mouth was melting. The Unmanly Chef, thanks, it’s a work in progress. No, the Jalapeños were not hot as the seeds were removed. The actual pepper was not spicy at all. Now, when you leave a few seeds in, that’s a whole other thing!